Home > Real Estate - Books > Book Review: DESIGNED HOUSES FOR ALL..! 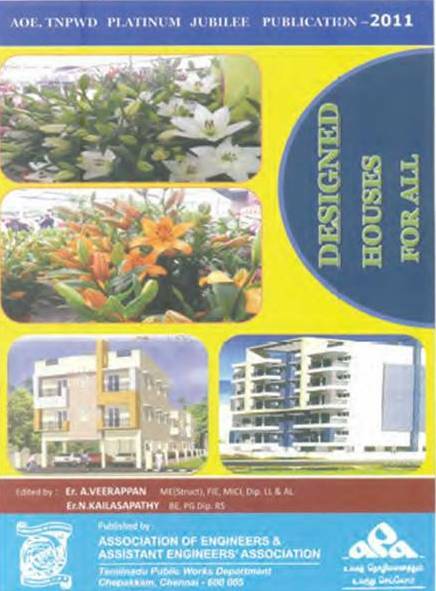 Book Review: DESIGNED HOUSES FOR ALL..! Name of the Book: DESIGNED HOUSES FOR ALL..! Houses for All – a civil engineers’ treasure. A Veerappan, will technologically reflect the future of the civil engineers. should remember this chapter as to his name. even a common man can comprehend easily. Valluvar Salai, Arumbakkam, Chennai- 600106.